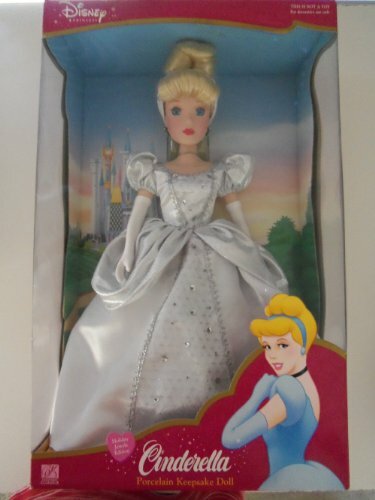 Disney Princess Cinderella Royal Holiday Edition 16" Porcelain Keepsake Doll in MIB condition. Light wear on box! See scan for details!! Disney Cinderella porcelain keepsake doll. CINDERELLA 16" Doll - Disney Princess - Porcelain Hand Painted - New! $40, CINDERELLA 16" Doll - Disney Princess - Porcelain Hand Painted - New!